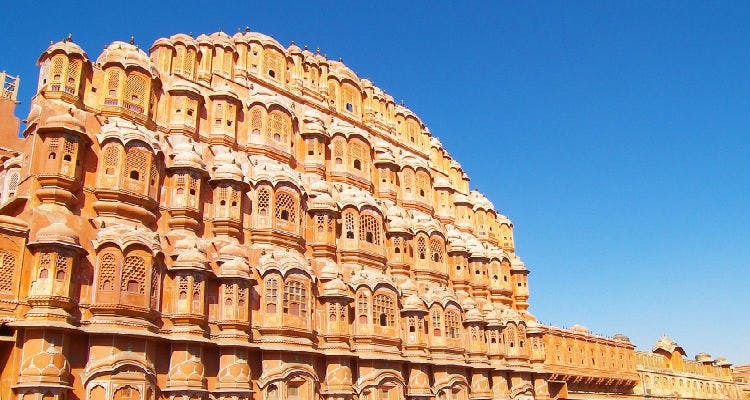 The palaces, forts, camel caravans and some of the best fairs make Rajasthan an Arabian dream come true. The 'Land of the Kings' is rich in culture and heritage. Go to Jaipur for a splendid view of Amer Fort from a hot air balloon. Gorge on delicious food at Tapri and The Peacock Rooftop Restaurant. Experience the expansive magnificence of the Thar desert, engulfing the gilded outposts of Bikaner. Bikaner Camel Safari and Jain Temple are two amazing things to visit there. Kings Pavillion Restaurant and Gallops Cafe are popular hangout spots. Jodhpur, another hue of Rajasthan is a joy to behold. Visit Mehrangarh Fort for mesmerizing sunset and Pukhraj Durry Udhyog for local artistry. The Curry's and Ravla are two good places to eat. While, Udaipur's panorama is the postcard perfect image of Rajasthan's royal heritage that decorates the pages of travel magazines. Visit Lake Pichola for a romantic boat ride. Eat in Tribute and Grasswood Cafe to perfectly end your day. The best time to visit Rajasthan is somewhere around October and November because of the very famous annual Camel Fair! Ranthambore Tiger Reserve is the perfect place to end the beautiful trip amidst the lap of nature.